International information agency “Prant” has been a prominent leader in the real estate market of Azerbaijan about 20 years. 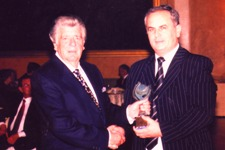 It was established under the leadership of its main founder and President Yusif Alakbarov in 1997. The agency possesses a constantly updating extensive data base including information about more than 100.000 properties of real estate. The data base involves buildings, dwelling houses, as well as factories, plants, land plots and other kinds of commercial real estates of different total area, renovated to Western, Eastern and European styles, located both right in the center of the city, around and across Baku. Today “Prant” is capable of asserting its status not only in the real estate market of Azerbaijan, but also beyond its borders by cooperating with other prominent organizations and companies all over the world. The successful application of any kind project in the real estate market has led the agency to the honor of multiply international rewards. 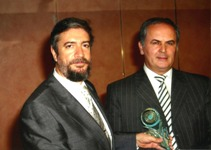 The agency was internationally rewarded by “Gold Star” for the best management, premium quality and prestige in the capital of Italy in November 6, 2004, the contest dedicated to trade, tourism and industry is an international ceremony constantly held by “Actualidad”, the journal in Spain. The admission of the agency as a member to USA-Azerbaijan Chamber of Commerce in September 2005 should be mentioned as the next success. The year 2006 was especially successful for the agency. This year the activity of “Prant” was twice appreciated with international awards. “Prant” was honored with the name “Leader in Prestige and Quality in Europe” in Zurich, Switzerland. The agency managed to gain its next prize “Gold Medal” by being the laureate of the international contest held by “Aid Association to the development of Industry” which was founded by Napoleon Bonaparte’s decree in 1802 in Paris. It’s worth mention that “Prant” is the first and the only agency to gain the above mentioned international prizes and medals among the respective profiled agencies in CIC. 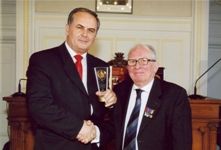 In April, 2006, due to the decisions of International Peace Federation and International and Inter-religious Federation for Peace in the World President of the agency Yusif Alakbarov was honored with the name “Embassador for Peace” for the position of the agency to extend international friendship relations among nations and countries. “Prant” agency, acting successfully in Azerbaijan real estate market for 12 years has dynamically preserved its primary leadership in this sphere. Being one of the active representatives of the private sector, extending day by day “Prant” were honored with “Success” award at the ceremony held in Gulustan Palace. The activity of the agency is constantly highlighted in local and some foreign Mass Media such as “New York Post”, “Weekly Telegraph”, “Actualidad” etc. Taking into consideration the high level services offered by the agency, 18-19 of February, 2007, in Frankfurt (Germany) “Prant” was awarded with “Arch of Europe” by BID (Business Initiative Directions), according to the vote of the companies honored to these prizes, for the high level work technology and quality. On the 23-24 of September at the convention organized by BID, “Prant” was awarded with “The International Quality Crown” in London where other reliable world companies, influential businessmen, accepted as the result of the services offered to the public. Considering the boost of foreign investments into the country “Prant” presents projects on the construction and reconstruction of cottages, guest houses, skyscrapers, commercial and industrial properties and other types of buildings and constructions and supplies foreign citizens with juridical consultancy according to the legislation of the republic. The agency maintains tight cooperation with famous companies all over the world.